Canadian Mortgages, Insurance, Investment, Tax Planning: Canadian Mortgage Broker News - WEB EXCLUSIVE: Is the Canadian consumer overextended with debt? Canadian Mortgage Broker News - WEB EXCLUSIVE: Is the Canadian consumer overextended with debt? Is the Canadian consumer overextended with debt? Who knows? Who should care? I grow weary of reading reports and surveys suggesting that consumer debt in Canada is a problem. Is it a problem or not? How do telephone surveys, which seem to occur daily, add to a situation that should be looked at from a numbers perspective? I went to Statistics Canada's website and couldn’t find any hard numbers to verify the "mythical" average Canadian debt load. Statistics Canada did report in 2008 "the proportions of debtors increases early in the lifecycle but declines steadily later". Financial Planning 101 teaches us that Canadian households, which are led by individuals 32 years of age or younger had on average a negative net worth. Typically, debts are paid with income, not assets. So it would be good to also learn what the average Canadian has in assets. I do know that a good estimate of the average equity in Canadian residential properties is about 70 per cent. Yes, that would mean about $2.8 trillion dollars of value with approximately $1.0 trillion dollars in debt as reported in Canadian Mortgage Industry Report Fall 09, commissioned by the Canadian Association of Accredited Mortgage Professionals (CAAMP). Recently, I read two academic reports on the impact or potential rising rates on the mortgage borrower. With the exception of a small percentage, most borrowers are in fine shape. Employment rates and income are the main factors when forecasting the likelihood of making mortgage payments and meeting debt obligations. Reasonable rate increases overall will not be a problem. I think there is a lot of misinformation out there from special interest groups who want to curtail reasonable access to credit for consumers. 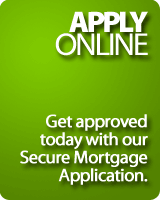 A recent survey by the Royal Bank of Canada urged lenders and government to "do something? In 2003 the UK the government was dealing with similar "unknowns”. They created a task force to tackle the consumer debt issue and eventually stated there was no generally accepted definition of over-indebtedness and inadequate information on which to base one"
The recent TD bank report states that soon Canadian household indebtedness will be over 150 per cent of personal disposable income (PDI). I find it strange that companies compare debt to disposable income. Assets and liabilities are on a balance sheet for companies. Why not for families? Personal disposable income (PDI) is money available for debt servicing. I looked at TD's 2009 financial highlights. I am not an accountant; I just wanted to see how a bank compared debt in financial ratios. It looks to me that net income (PDI) was almost $5 billion dollars. The same report showed $255 billion in outstanding loans. Perhaps we need to survey 1000 Canadian consumers to see if we should worry that a bank seems to have borrowings in excess of 150 per cent of its net income? Of course, that’s crazy! It is always prudent to manage debt responsibly. As a financial planner I counsel clients in that fashion. Canada has a system that is the envy of the world, well regulated and prudent that helps us manage the down times. Senseless handwringing without full and candid disclosure can’t help anyone. It can frighten some people, which would be fine if we had the facts. Personally I think our current system is as good as possible given what will always be competing interests.